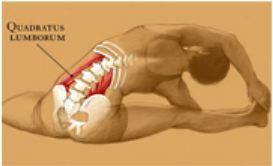 When working the lower back muscles we want to increase core strength and mobility without causing pain or dysfunction. So many of my patients come to me with low back and neck pain as a result of working out improperly in the gym, or doing yoga or pilates improperly. Core strengthening is very important as it helps to keep the center of gravity stable and can also help to level the pelvis, the foundation of the spine. However, not all core strengthening is safe, depending on the muscle imbalance already present. Every lower back patient I have seen for the last 30 years has muscle imbalance which causes pelvic instability, pain and spinal dysfunction. This muscle imbalance then causes an unstable pelvis. When not corrected it then causes compensation throughout the rest of the spine and can result in problems like herniated discs, degenerative disc disease, osteoarthritis causing stenosis, scoliosis, sciatica, etc. The muscle imbalance which is consistently seen to cause back pain is either a tight right iliopsoas muscle (which tends to get tighter when doing pilates), a tight left quadratus lumborum muscle, or both. Sometimes you will also see a tight piriformis muscle which frequently gets overused due to it compensating for an unstable pelvis. 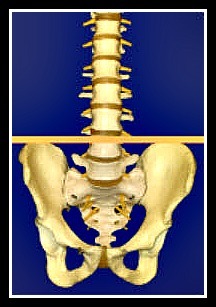 The twisted pelvis (and unleveled foundation) then causes abnormal side bending and rotation which causes the spinal joints to become dysfunctional. 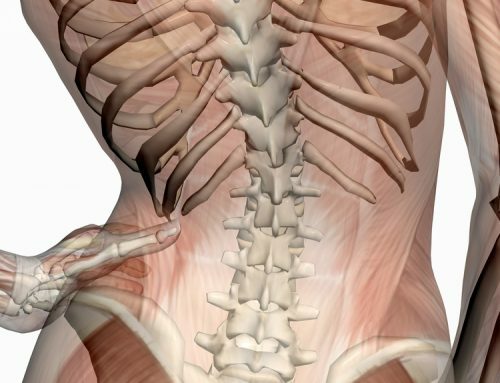 This joint dysfunction then causes muscle spasm and muscle weaknesses throughout the rest of the spine, potentially up to the neck. 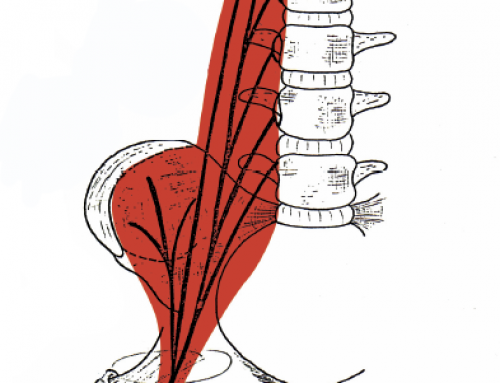 Even though we see muscle imbalance all the way up the spine, it is important to understand that the right iliopsoas and left quadratus lumborum muscles caused the original problem by causing the pelvis to go into an uneven, unstable position. The other muscle imbalances we see are usually compensations for the uneven pelvis. There is one more muscle that I would like to talk about that can make an already unstable pelvis worse. It is the latissimus dorsi muscle (or lats, see above). If the core muscles are not strong and the pelvis is unstable using the lats can cause increased instability as they attach to the top of the pelvis (via the thoraco-lumbar fascia) and can pull the pelvis into a more uneven position. 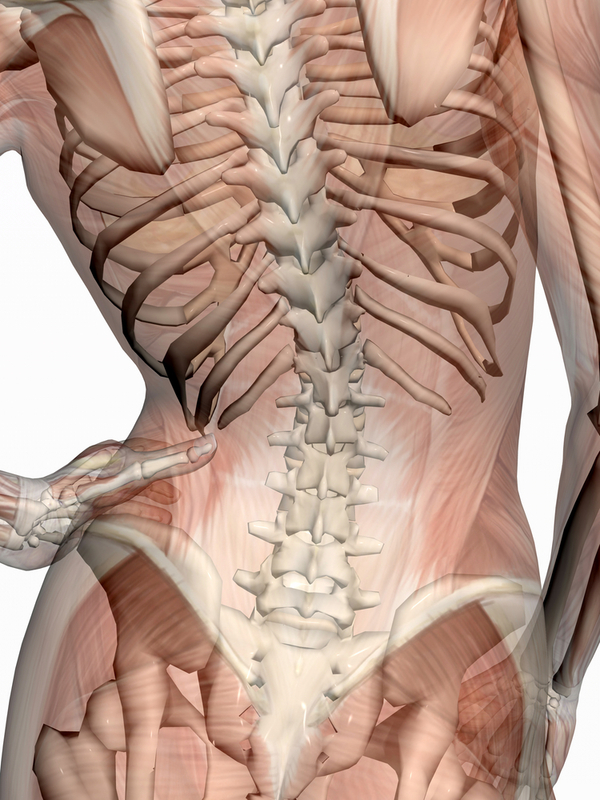 I have seen many patients cause their low back pain as a result of strengthening their lats. So, what is the best lower back work outs? 1) Strengthen the rectus and transverse abdominus, internal and external obliques (without shortening the iliopsoas), the hip abductors and adductors, and the three gluteus muscles. 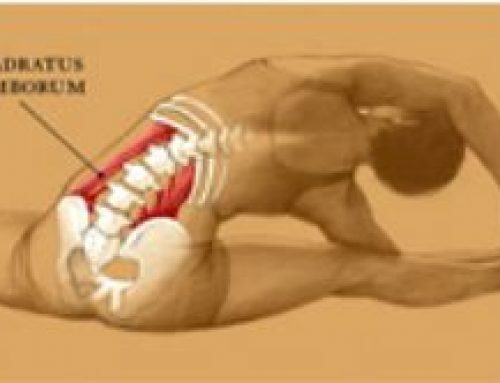 2) Stretch the right iliopsoas and left quadratus lumborum muscles. 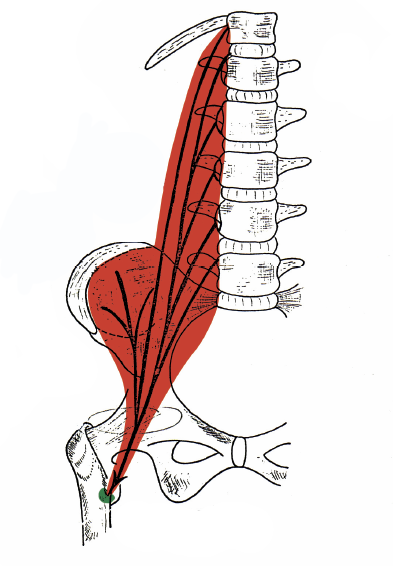 Sometimes the piriformis muscle also needs to be stretched, but only secondary to the above muscles. 3) Stay away from using the latissimus dorsi muscles. If you need to use these muscles for activities of daily living and you have low back pain you will probably need to work with a physical therapist who understands pelvic dysfunctions well. 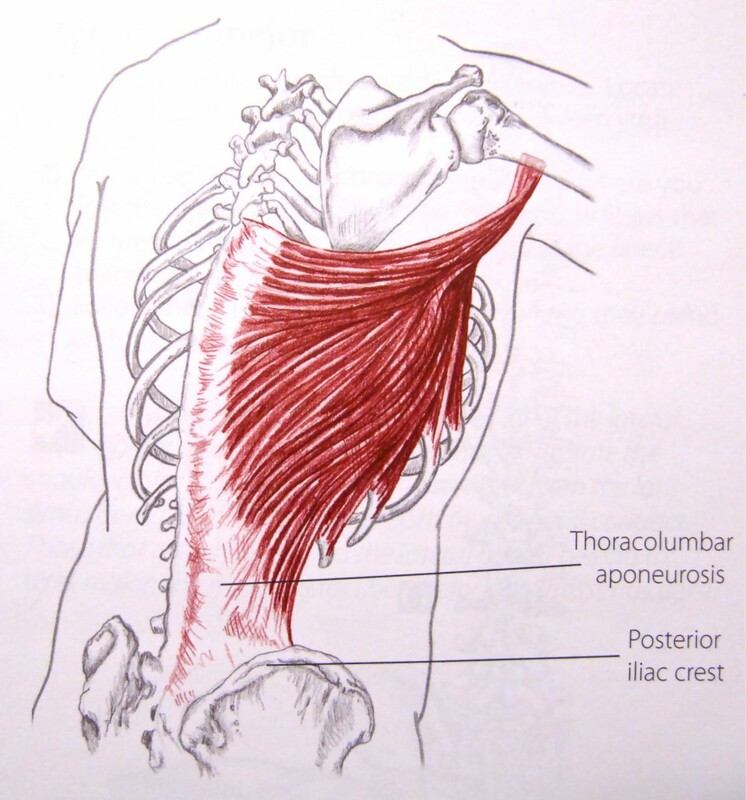 The latissimus dorsi muscles are used when you swim. SWIMMING IS CONTRAINDICATED IF YOU HAVE LOW BACK PAIN because it uses the lats which then pull the pelvis into a more unstable position. Other sports that use the lats are kayaking, surfing and mountain/rock climbing. The lats are also used when you do pull-ups/chin-ups, triceps dips, rowing and lat pull downs. One needs to avoid these exercises until you have stabilized your pelvis, strengthened your core and learned how to keep your pelvis stable. One needs to strengthen the muscles that hold your spine in alignment and stretch the muscles that pull your spine out of alignment. The videos in, “The Missing Link to Neck and Back Pain Relief” shows you how to do your lower back workout safely.